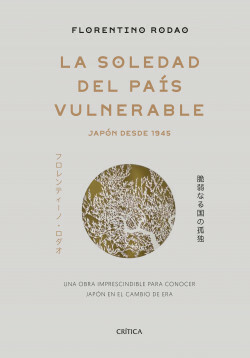 The first part of The Solitude of the Vulnerable Country: Japan since 1945 looks at Japan’s history through the lens of World War II, from its first occupation by an enemy power to its incredible economic upswing, its seeming turmoil at the turn of the century, and the impact of the Fukushima disaster. The second part focuses on a variety of subjects: cultural achievements, the feeling of nationhood, war memories, the aging population, but also daily life, education, work, the law, women, sexuality, family, consumerism, bureaucracy, religion, and suicide. Understanding Japan requires a broadminded perspective, but also a willingness to dig into the hidden corners of a society. “The land of tradition and modernity”: descriptions like this are legion when it comes to Japan, and quick takes try to explain the place in minutes, resorting to stiff, antiquated stereotypes of this eternal country. They aren’t wrong, but they are insufficient. Looking toward the new era that will begin in 2019 under Emperor Naruhito, Rodao offers an understanding of the country tempered by its vulnerability. This book shows the country’s temerity and mistakes, its capacity for selfreinvention, but also its groundbreaking achievements, which have been of great help for others.